Two made free throws and a last-second steal from Linnae Harper (Kentucky/Chicago, Ill.) helped the 2015 U.S. Pan American Women’s Basketball Team (4-0) survive its semifinal game against Cuba (2-2) with a 65-64 win on Sunday that put the USA into the championship game of the 2015 Pan American Games at Ryerson Athletic Center in Toronto, Canada. The USA will play the winner of today’s second semifinal between Brazil (2-1) and host Canada (3-0) in the gold medal game at 8:45 p.m. EDT on July 20 (live on ESPNU). Cuba will play the loser of Brazil-Canada in the bronze medal game at 4 p.m. EDT. The USA trailed by as many as 14 points in the third quarter, but battled back, thanks in part to a press that forced seven Cuban turnovers in that period alone, to go up by four points, 61-57, in the fourth quarter after a 3-pointer from Harper with just 2:52 remaining in the game. Cuba responded with a 5-0 run, however, and led 62-61 with 1:36 on the clock. Alaina Coates (South Carolina/Irmo, S.C.), who finished with 10 points and 15 rebounds, scored an offensive put back at 47.2 seconds, but, again, Cuba had an answer with a steal and layup at 13.3 seconds to go ahead 64-63. On the USA’s final possession, Harper drove to the basket and was fouled, and she made both free throws to give the USA its 65-64 lead with 7.7 seconds left in the game. Cuba had one more opportunity, but as Cuba’s Oyanaisy Gelis attacked the rim, Harper stole the ball and secured the U.S. victory. “First of all, Alaina’s offensive rebound was huge – gave us the one-point lead,” said USA head coach Lisa Bluder (Iowa). “Linnae was just terrific off the bench tonight. She gave us such a spark offensively and defensively. I can’t say enough good things about the way that Linnae played today. 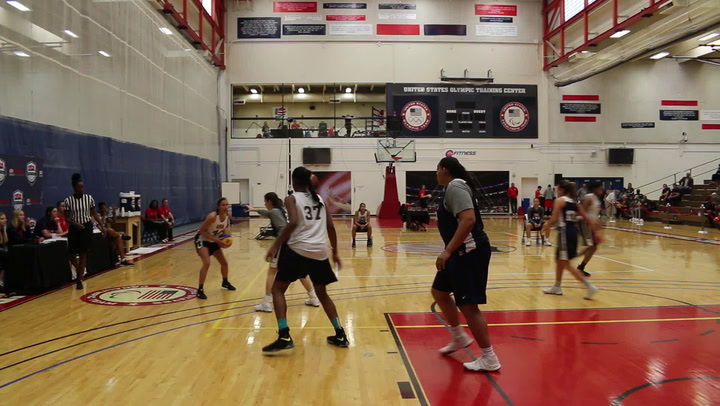 Harper finished with a game-high 16 points and four steals; Shatori Walker-Kimbrough (Maryland/Aliquippa, Pa.) had 15 point and four steals; Moriah Jefferson (Connecticut/Glenn Heights, Texas) had 12 points, five assists and six rebounds; and Breanna Stewart (Connecticut/North Syracuse, N.Y.) contributed 10 points and five rebounds. After getting behind 5-0 to start the game, the USA got six of its first eight points from Jefferson, and the score was 10-8 in Cuba’s favor when Jefferson scored a fast-break bucket at 4:46. After a three-point play from Cuba and a TV timeout, the USA outscored Cuba 10-4 to close the quarter. A steal and score from Walker-Kimbrough put the USA on top for the first time in the game, 18-17, at 41.2 seconds, and that is how the teams headed into the second period. Following a score from each side, Cuba took the lead back with a 6-0 run that gave them a 25-20 advantage at 6:02 in the second. Walker-Kimbrough scored at 4:55, but Cuba put up seven unanswered points to lead 32-22 with a 3-pointer at 2:52. While Stewart and Jefferson scored in the first half’s closing minutes, Cuba ended the period with a 3-pointer that gave them a 37-26 advantage at the midway point. 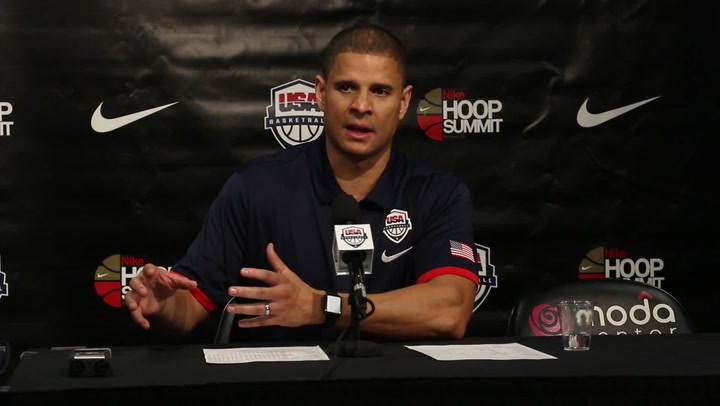 The USA was plagued by 14 turnovers and was outrebounded by Cuba 21-17 in the first half. While the USA outscored Cuba 20-11 in the third quarter to change the game’s momentum, Cuba led 46-34 at 6:16. From there, however, Stewart stole the ball and converted a three-point play to ignite a 12-0 U.S. run that tied the score at 46-all when Harper sank a jumper with 40.5 seconds remaining. Cuba scored the third period’s final points, and the teams headed into the fourth quarter with Cuba nursing a two-point lead, 48-46. 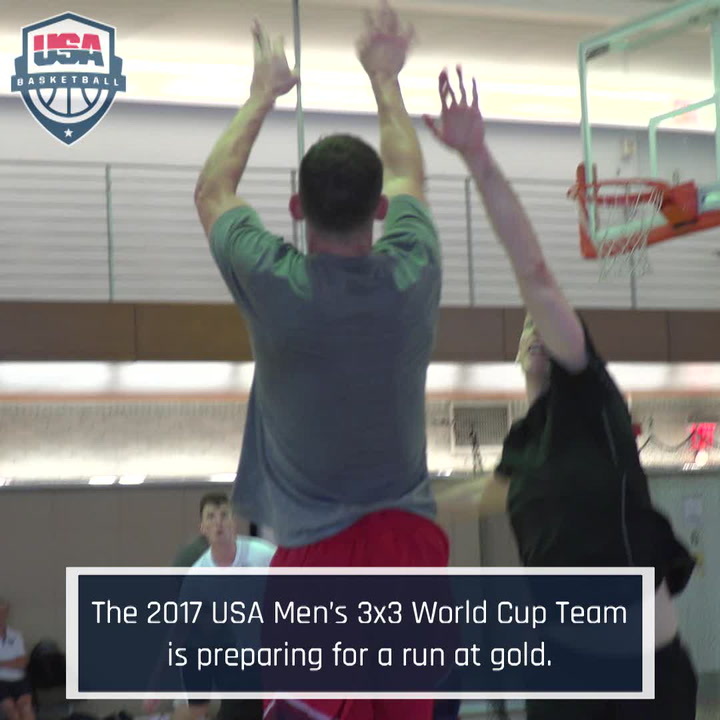 The score was tied three times in the fourth quarter before the USA’s late-game heroics sealed the win. While the USA shot 41.8 percent from the field (28-67 FGs), it held Cuba to just 35.2 percent (25-71 FGs). 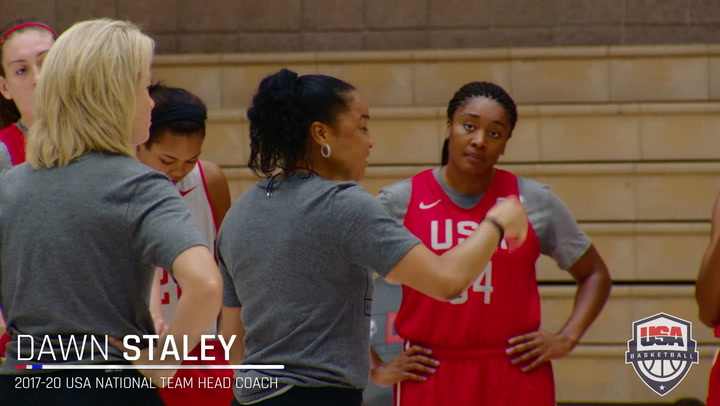 U.S. guard Tiffany Mitchell (South Carolina/Charlotte, N.C.) remained unable to play due to a sprained left ankle that occurred during a scrimmage against Canada on July 14. Venezuela (1-3) finished in seventh place after a 72-56 win over Dominican Republic (0-4), which finished eighth, while Puerto Rico (1-2) will meet Argentina (1-2) in the fifth-place game at 9 p.m. EDT. 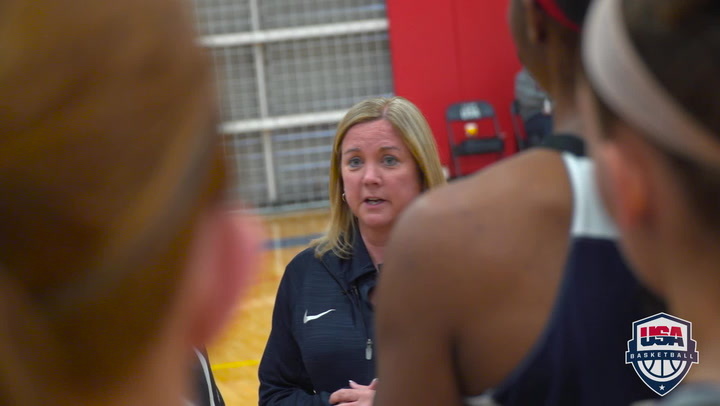 The USA’s assistant coaches are Michelle Clark-Heard of Western Kentucky University and Scott Rueck of Oregon State University. Since the first Pan American Games for women in 1955, the USA now has compiled an overall record of 78-14 and has won seven gold medals, four silver medals and two bronze medals.